This book was 100% a cover buy. When I saw it on Bookoutlet, I knew I had to have it. Even though I knew nothing of what this book is about. Oh boy, I was thrown for a ride. I just need to say there’s so many Taylor Swift songs that will remind me of this story. I like that the book is written almost like a letter to Gavin. I love that it feels like she’s telling him the story of how he is. How she’s loved him. How he ruined her. I feel like it makes the story more genuine. I felt this book. With every fiber of my being. I reminded me so much of a relationship I had in high school. When I saw Grace in my head, I saw me. This was me at one point in my life. I was young and thought I was so in love. Not realizing how toxic the relationship was. I feel like Heather literally followed my sixteen-year-old self around and wrote a book about me. 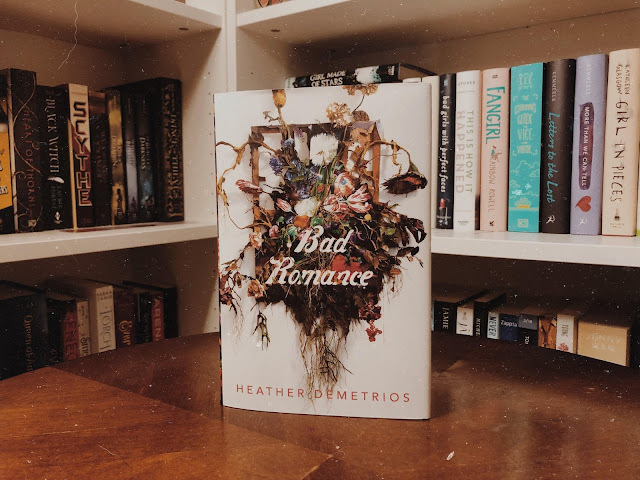 I love Heather for this book. I love Grace. As I already said, I see myself when I imagine her. She’s such an amazing, well-written character. I’m sure a lot of people imagine themselves as her. I’m sure thousands of people can say they were in her shoes. She’s strong. She’s brave. She’s everything positive. Even if some people don’t see her that way. I do. I understand. I love how Heather wrote Gavin. I do not, in any shape or form, love Gavin. You should never love Gavin. Ever. She wrote him in a way that’s true. A way that if a girl in a questionable relationship ever reads this book, will know that what her Gavin is doing is not right. It’s not protective. It’s possessive. There’s a big difference and Heather shows you that. There’s just so much that I love about this book. I can go on for days. I feel an emotional connection with this book. I will definitely read it in the future. I’m recommending this book to everyone. Especially younger people who are not sure what a toxic relationship is. This is it. Read this book. READ IT. 5/5 Stars. This book actually deserves all the stars in the sky.